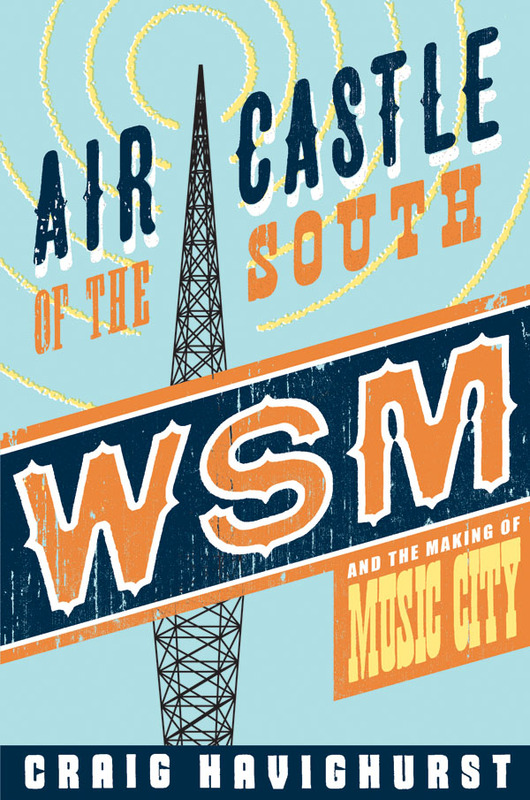 The University of Illinois Press has issued Air Castle of the South in paperback and e-book! Find the new edition at Amazon, Barnes & Noble and indie booksellers. Started by the National Life and Accident Insurance Company in 1925, WSM became one of the most influential radio stations in the history of broadcasting and country music. WSM gave Nashville the moniker "Music City USA" as well as a rich tradition of music, news, and broad-based entertainment. With the rise of country music broadcasting and recording between the 1920s and '50s, WSM, Nashville, and country music became inseparable, stemming from WSM's launch of the Grand Ole Opry, popular daily shows like Noontime Neighbors, and early morning artist-driven shows such as Hank Williams on Mother's Best Flour. Sparked by public outcry following a proposal to pull country music and the Opry from WSM-AM in 2002, Craig Havighurst scoured new and existing sources to document the station's profound effect on the character and self-image of Nashville. Introducing the reader to colorful artists and businessmen from the station's history, including Owen Bradley, Minnie Pearl, Jim Denny, Edwin Craig, and Dinah Shore, the volume invites the reader to reflect on the status of Nashville, radio, and country music in American culture. Writer and filmmaker Craig Havighurst has covered music for The Wall Street Journal, The Tennessean, WPLN-FM and NPR. He is also a founding producer of the weekly throwback Americana radio show Music City Roots.